BeerViking: Dampfbier: the original Steam Beer? Many beer fans will have heard of Steam Beer, a style claimed as native by California and now brewed only by San Francisco's Anchor Brewing – in name at least, since former Anchor owner Fritz Maytag was smart enough to trademark “Anchor Steam Beer” in 1981. Other Californian breweries now make it too, but as a style called California Common. 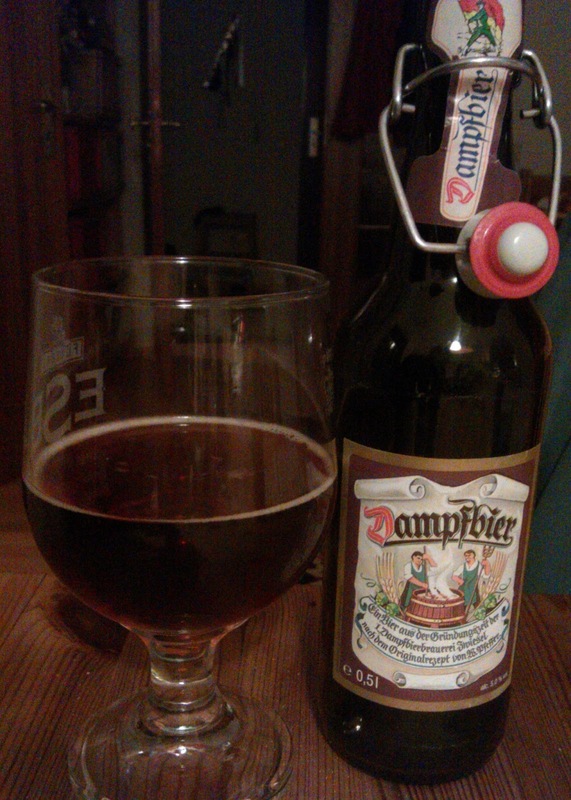 And the legend of Dampfbier is almost identical to the legend of Steam Beer – beer brewed for the common folk, by brewers unable to use the refrigeration needed for the newer cold-fermented Munich, Vienna and Pilsener lagers. The notable difference is that Dampfbier uses a top/warm-fermenting Weissbier or ale-type yeast, whereas Steam Beer uses a bottom/cold-fermenting lager yeast but at ale temperatures. American writers and their fellow travellers (such as the writer of the Dampfbier history linked to above) would have it that this makes them examples of parallel but independent evolution. Indeed, Steam Beer is sometimes claimed as “America's only true native style” – but what if that weren't true? What if the reality was that Bavarian brewers emigrating to the US – Anchor's early brewers were all German immigrants, for example – already knew of Dampfbier, and faced with an inability to make the cold-fermented lagers that their breweries had switched over to back home, they simply reverted to those older techniques that they were still familiar with? Of course, using a different yeast does produce a different result. It should be noted though that much else is common to the two. Dampfbier is even lagered – matured in a cold cellar – of course, like other warm-fermented Bavarian beers such as Weissbier. 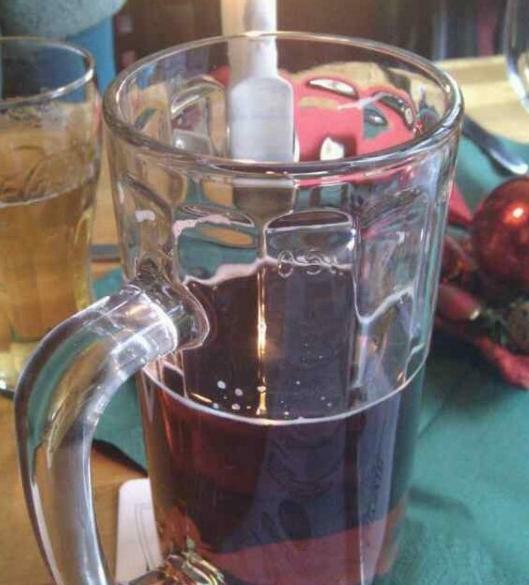 So what's Dampfbier like? Both the ones I've tried are a reddish-brown or red-amber and malty, lightly hopped with bitterness really only in the finish, and slightly sweet with faint notes of caramel and nuts. The bottled Zwiesel example is a bit fruity, with hints of melon, bread dough and bubblegum on the nose, and touches of tart plum, bread and a faint wineyness in the body. The Maisels one I've only had on draught, it has touches of peach and banana on the nose and a smoother body. I suppose if anything, I'd describe them as a bit like a cross between a Dunkelweiss and a Brown Ale. Which kind of makes sense, given the heritage. As you'd expect from a modern American brew, Anchor Steam Beer is quite a bit hoppier, with pine and citrus notes, yet it too is amber, malty, and a little sweet with notes of bread and caramel or honey. Different, then, but not that different. Interesting, eh? Do you know if Maisel Dampfbier is available for sale in the USA? It doesn't look like it, I'm afraid - I had a quick look on both Untappd and Ratebeer, and neither has any rates recorded from the US. I'm amused to note though that several of the Dampfbiers on Ratebeer are now listed as California Common style. A bit horse-before-cart there, methinks!